Soho is my go to area for good restaurants. There are so many different options to choose from – Sri-Lankan, Italian, Indian, Japanese, Chinese, Mexican, Peruvian, you name it! 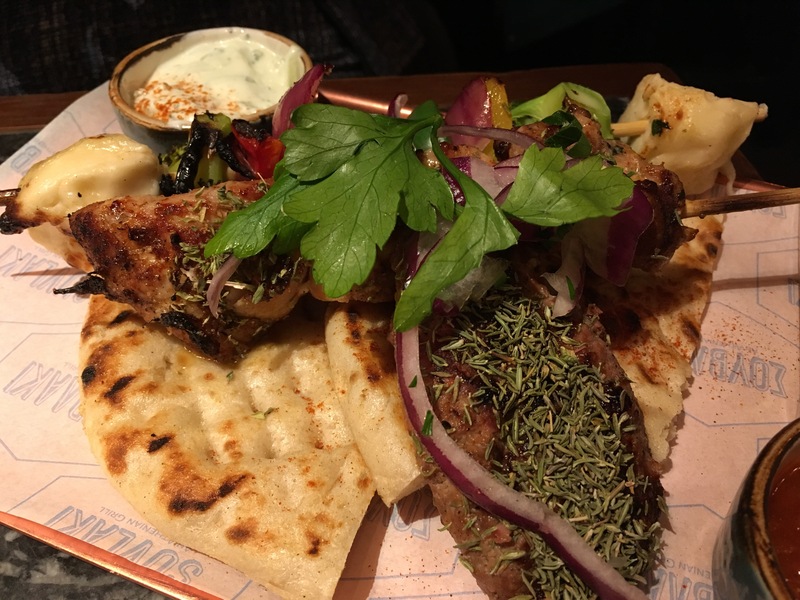 I’ve been to a few Greek restaurants in the past but it’s certainly not a cuisine that I know much about so, when I heard about Suvlaki, I decided to give it a go. 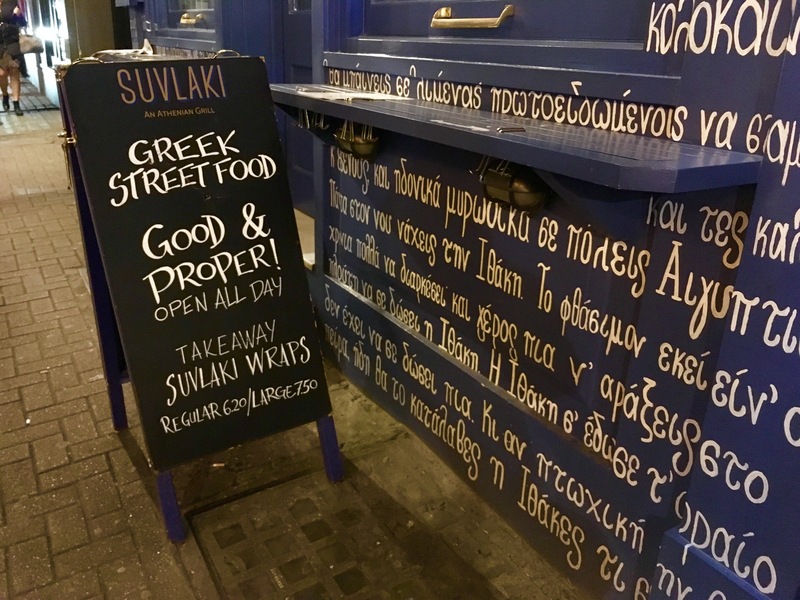 Suvlaki is a small, intimate restaurant in the heart of Soho. When I say small, I really do mean it! 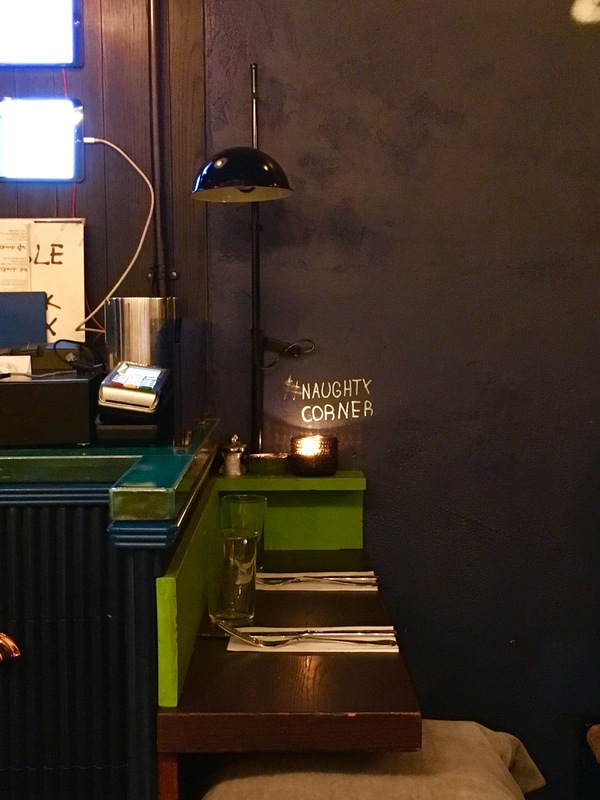 You’re sitting in very close proximity to other dinners – normally I’d find that a bit awkward but, on this occasion, I actually thought that it added to the ambience and was quite cosy! 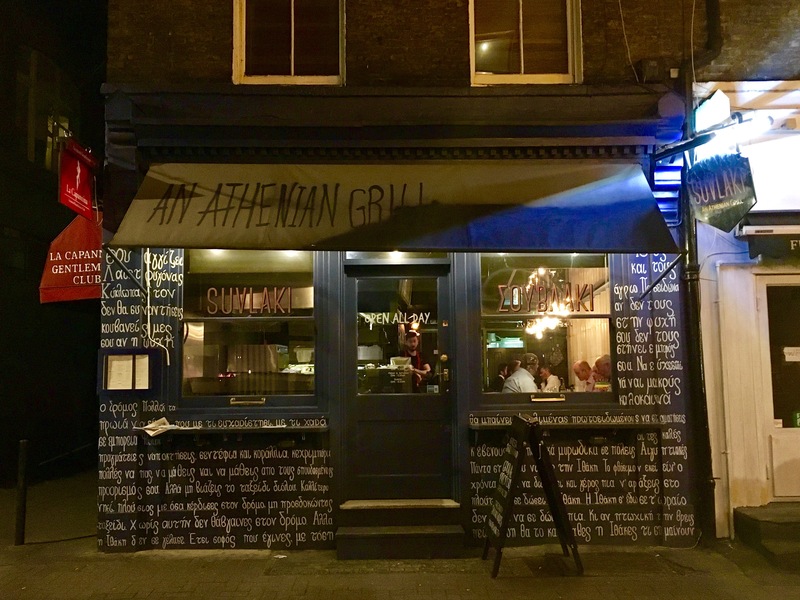 The menu has been consulted on by renowned Greek Chef, Elias Mamalakis, and is simple but captures the essence of Greek food. The service was also attentive and it was great seeing the chefs at work on the open grill right next to the main entrance. The restaurant also has a takeaway service and is a good option if you’re looking for a quick bite to eat. 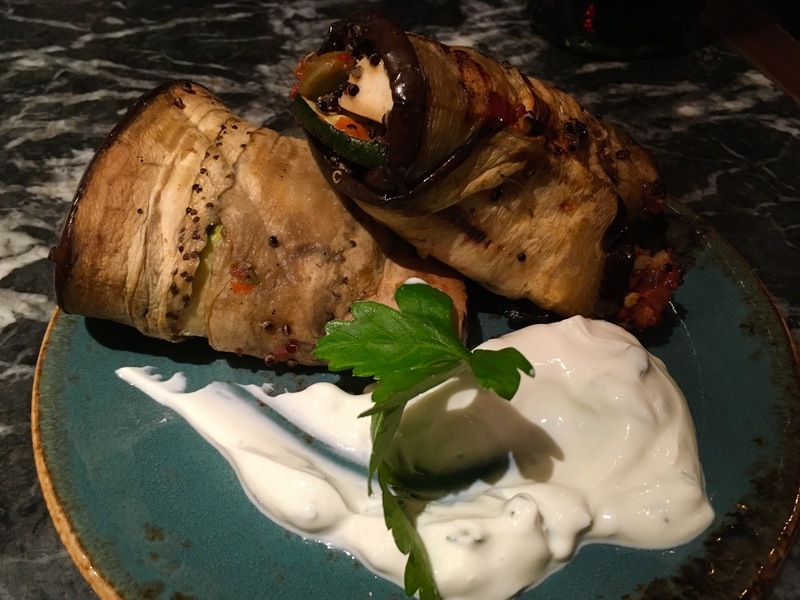 For starters, we had the aubergine rolls, the baked feta and a Greek salad. They were all delicious. 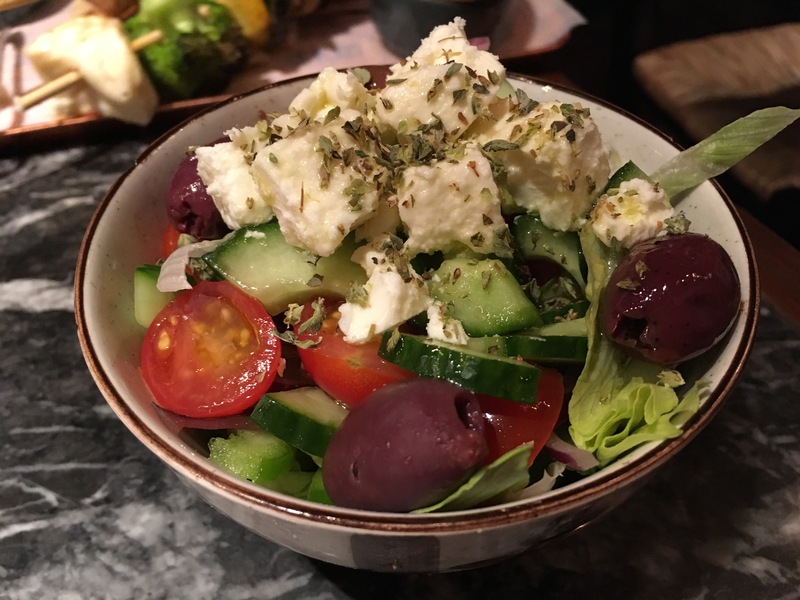 The feta was not too salty and had the perfect crumbly texture! For mains, we tried the skewers – you can get 3 skewers for £11 (mostly meat but there is a vegetarian option). 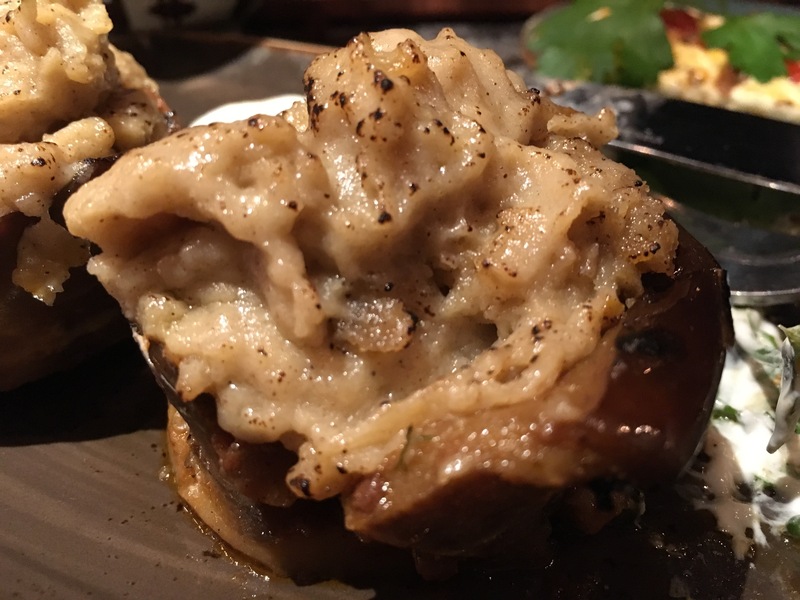 We also tried the vegetarian moussaka which was probably my least favourite dish – it was something about the texture! We weren’t actually going to have dessert but threw caution to the wind and went for it. 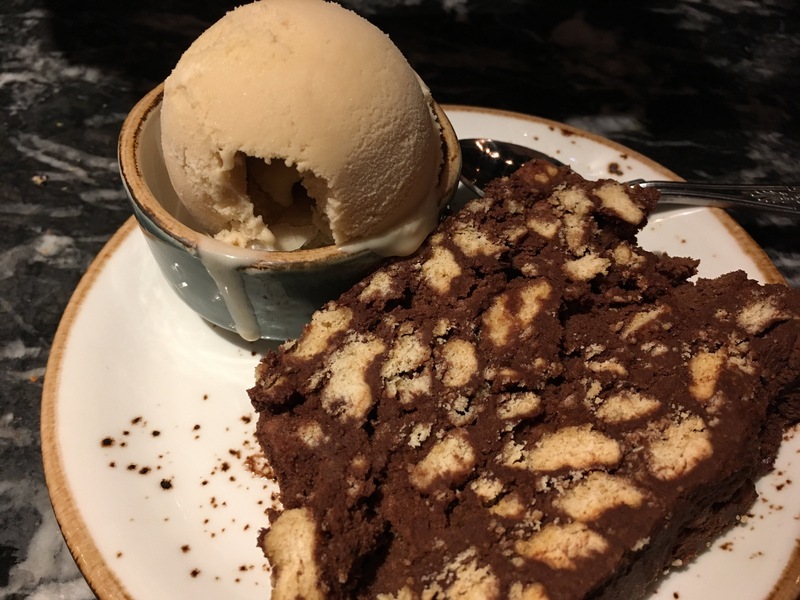 I have to say, the chocolate biscuit with coffee flavoured ice-cream was amazing. The flavour of the ice-cream was just right and the cake was the perfect chewy texture. 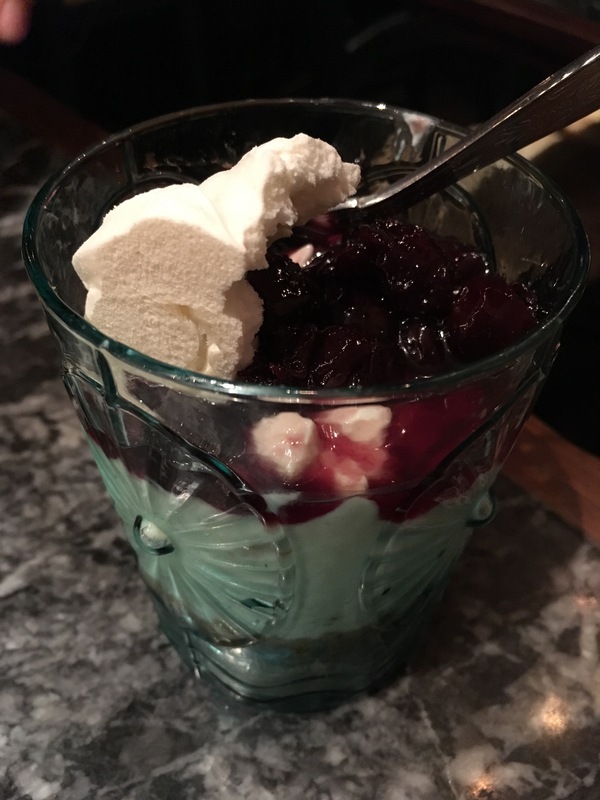 The cheesecake on the other hand was not so great – not very ‘cheese-cake’ like and too sweet – will be giving this dish a miss next time around! 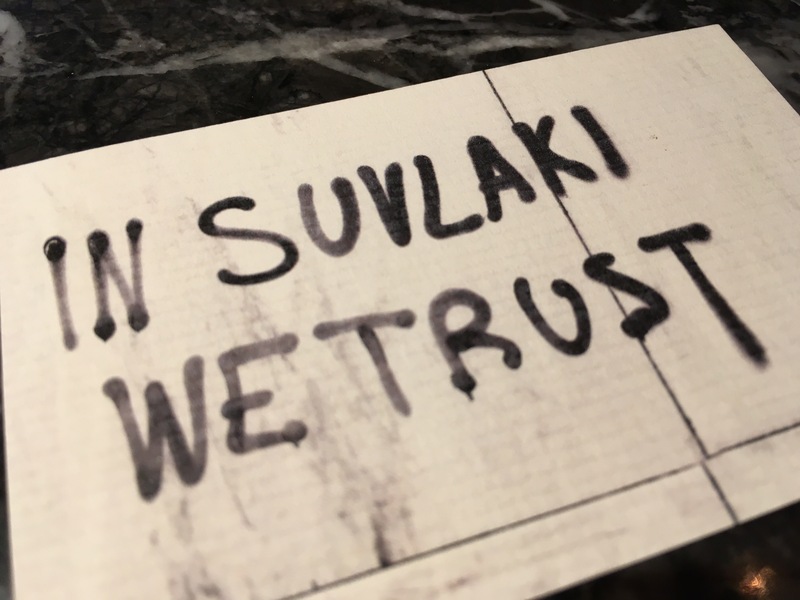 Overall, I was quite impressed with Suvlaki which will be my Greek restaurant of choice from now on. A couple of dishes didn’t quite hit the spot but, the ones that did, won me over!